Instead of buying over-priced, sugar-laden smoothies and milkshakes this summer, try a homemade Banana Cream Oreo Protein Shake. It’s not only easier on the pocketbook and delicious, but it’s healthier too! With all the packing we’ve been doing for our move, I’ve been super busy and not a lot of time to stop and eat right. The other day I ran into GNC to pick up some protein powder so I could make some shakes to enjoy for breakfast or lunch while I’m busy. The nice girl in the store and I started chatting about how you could make the protein shakes low cal and low fat but taste like a delicious treat. All while packing a high protein punch to help keep me going and satisfied. She suggested I use a low cal protein powder, that has only 100 calories per scoop, so I picked up this GNC Total Lean™ Lean Shake™ 25 that offers high-quality protein, fiber, vitamins, minerals, and fat. It comes in these 2-ounce packets for about $2 each. I can get 2 shakes out of a packet and was able to try them out without paying $32 for a larger container. The protein powder comes in several flavors, but she said if I got the french vanilla I could add a few tablespoons of sugar-free pudding mix to my shake for other flavors. Suddenly the combination possibilities started popping in of my head faster than I could run over to the grocery store and buy the ingredients! So, for my first shake, I used sugar-free Banana Cream Pudding Mix, with about 1/3 of a banana, some fat-free Greek yogurt and a little Stevia to sweeten, tossed in about a cup of ice and a little water and turned on my Vitamix for about 1 minute. Poured it in a glass and crushed up about 1/2 package of 100 calorie Oreos on top to mix in. What a TREAT!!! I can’t wait to try some other varieties with the pudding mix. I ran the ingredients thru a calorie calculator and came to just 350 calories, 2.5 grams fat and a whopping 39 grams of proein!! 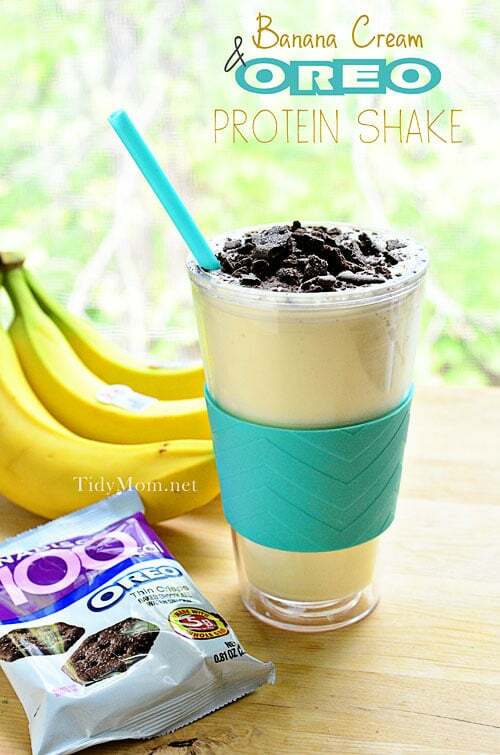 Instead of buying over-priced, sugar-laden smoothies and milkshakes this summer, try making a Banana Cream Oreo Protein Shake. 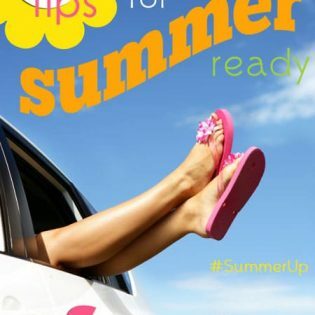 It’s not only easier on the pocketbook, but it’s healthier too! If any one has some flavor ideas, or other protein powders I should try, please let me know in the comments. 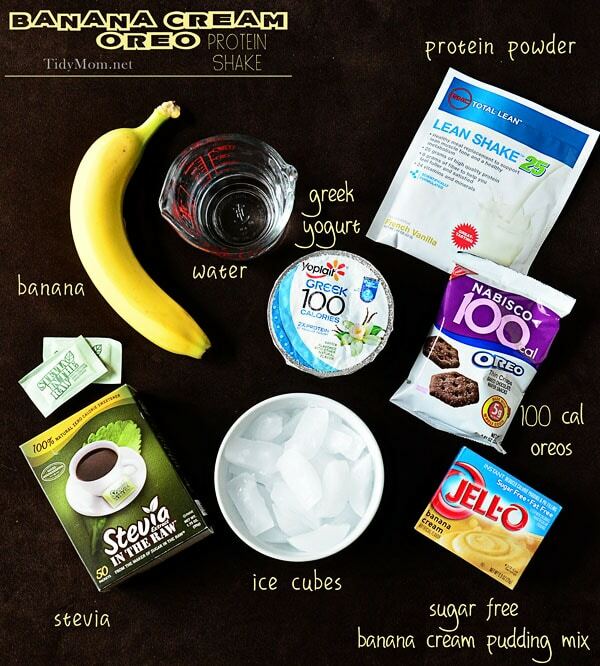 Place all the ingredients except Oreos in blender and mix until smooth. That shake looks so good!! YUM! Thanks so much for hosting Cheryl! I hope you have great Memorial Day weekend! Yay for the unofficial start to summer! yummy! I love smoothies! This sounds wonderful! Thanks for the party. I hope you have a great holiday weekend, Cheryl! Thanks for hosting, Cheryl! I hope you have a wonderful Memorial Day weekend! Thank you so much for hosting and the shake looks so delicious! I LOVE this shake. I need to add more stuff to my protein shakes. Sometimes the Whey flavor gets to me, so masking it with all that other stuff is perfect! Thanks so much for hosting Cheryl! That smoothie looks amazing!! Is it really 39g of fiber or is that protein? Have a great weekend! What an amazing shake! I love the idea to put sugar free pudding in…now my mind is going crazy with some combo ideas! 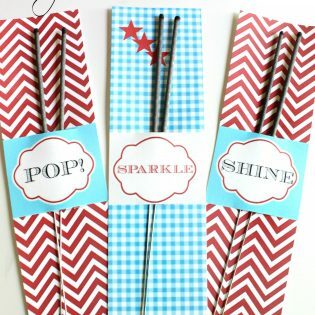 Thank you so much for hosting the fun party! Thanks for another scrumptious party, Cheryl. The shake looks delicious and made me crave Oreos fiercely. Yum! Thank you for the party every week, Cheryl! I hope you have a great Memorial Day Weekend! When I became vegetarian I used to do protein shakes all the time but have since stopped making them. This has got me thinking that maybe I should try them out again. Thanks so much for hosting every week, Cheryl! And the shake looks delicious! Need to give it a try. Good luck with packing! Have a great day! Oh my Cheryl- that shake looks amazing!!!!! Hope you have a really great holiday weekend! 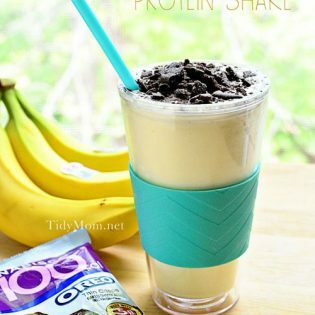 I love the idea of incorporating some of those 100-calorie Oreos into a shake! I’m sure this shake was very satisfying! This looks great! I love smoothies! You can’t be oreos! Have a great Holiday Weekend! Looks yummy. What about sugar free cheesecake pudding with strawberry protein shake? Or, sugar free caramel chocolate cheesecake pudding with vanilla protein shake. Sounds wonderful. That shake DOES look amazing! Thanks for the party and have a great weekend! I had the gastric bypass surgery done about 9 years ago now. Using sugar free pudding has been a life saver for me since I have protein shakes all the time! My favourite flavour is using Lemon. There is something about lemon that is just…delish! I would use lemon with any berry, but another great flavour is to use a small container of unsweetened applesause, lemon sf pudding, vanilla protein powder, skim milk or almond milk, ice and a few shakes of cinnamon (or you can use the cinnamon flavoured applesauce), and ice! It is SO GOOD! I call it “Apple Pie Frosty”. I’m seriously jealous of your moving. I want to move so badly. I NEED and excuse to get rid of all this STUFF 🙂 Always love going through the links here. I stopped linking up because I always forget to go in and add the pingback. But seriously I LOVE hopping around to all of the fun posts! thank you so much for the party and the yummy shake recipe! Protein shake looks fantastic, Cheryl! Your banana shakes looks great. Your photography is also great. What software do you use to get the WORDS on top of the photos/images? Thanks Nellie – I use Photoshop for all my editing. does anyone know of a good whey powder that’s not too expensive? I want to make this but was thinking of also using some oats and egg whites instead if can’t get the whey. Would add more calories but it should be ok…especially if it’s for before a workout. Or I could I could drink half before working out and the other half after? I’ve been looking for some new protein shakes. I love Oreo’s so this sounds delicious! wow..looks just like my protein shakes. i give an option for 1/2 cup greek yogurt instead of cottage cheese. This is a first prize, blue ribbon recipe you have here. Yum! That looks amazing! I’m definitely going to have to try that!